Come on lets go on the record with what we see in our magic 8 ball! The winter of 2016-17 was one of the coolest in recent memory. Most locations along the I-5 corridor experienced at least one significant snowfall. 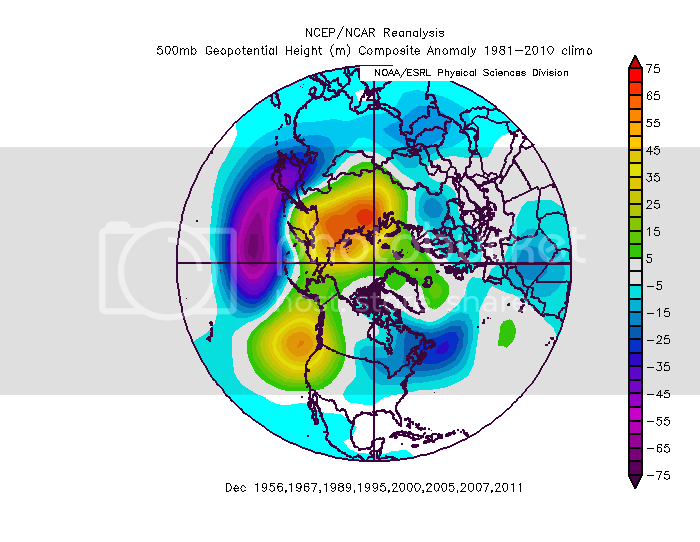 The cold anomalies were focused in December and January, with February closer to normal, and March above average SLE and points south. Precipitation was normal to slightly below the first half of the winter after record setting fall rains. February and March however, were anomalously wet. There were several modified intrusions of arctic air, but no significant regional arctic blasts. Temperatures in W. Oregon were about 3-4 degrees below normal in December and 5-8 degrees below normal in January. I view December as a true wildcard month for the upcoming winter with equal chances for a wide variety of outcomes. I have very low confidence in my December forecast. Overall though I think the most likely outcome for December 2017 is something along the lines of December 2007, 2010, or 2011. I see the biggest chances for cold anomalies being toward the beginning of the month and then the week after Christmas. I think there is a high likelihood we see some kind of atmospheric river event in December, followed by either ridging or a split flow. The latter would likely lead to an inversion setup in the lowlands. Overall I expect the month to have near normal to slightly above normal precipitation. With temperatures near to slightly above normal. As for snowfall, I would say chances for valley snow are about as they would be in a typical year. The mountains should see slightly below normal snowfall. Regionally last January was the coldest since at least 1993. Will this year top that? It is possible, but probably not. 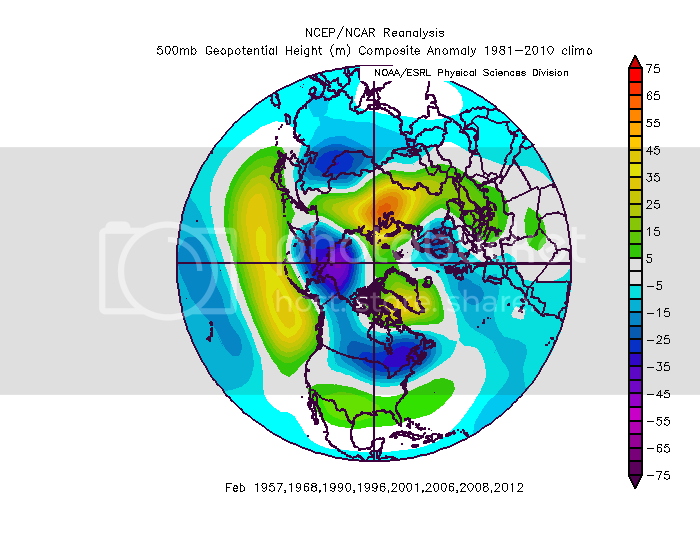 For analogs January 1968 and 2008 were weighed heavily. I do think we could potentially see more amplification upstream than those years however, leading to a much better potential outcome for cold weather lovers. I see precipitation being normal to above normal. I believe temperatures regionally will be below average in January, though I believe the flow will be much more progressive than last January, leading to a few mild periods interspersed. Therefore, I would expect cold anomalies more in line with Dec 2016, than Jan 2017. There should be quite a bit of cold onshore flow which could bring snow levels to the surface at times. I think there is a better than 50% chance we see a significant arctic outbreak during the month. I expect at least one widespread accumulating snowfall in the inland valleys during the month. Snowfall in the mountains should be above average. I believe February will be our coldest month regionally in relation to the long term average. I expect near normal precipitation across the NW. I think there is a high likelihood of arctic air, especially early in the month. Later in the month likely some periods of cold onshore flow. Expect the coldest February since at least 2011. I think the inland valleys have a greater than 50% of at least one accumulating snowfall with above average mountain snow. March should be cool and wet early in the month. Trending drier and milder as we get toward the end of the month as is typical. I expect temperatures to be slightly below normal for the month overall with above normal precipitation. There will likely be some foothills snow, but I do not expect accumulating snow at the lowest elevations. The mountain snowpack should continue to be healthy. Overall I expect another cooler than average winter. Most valley locations will likely see accumulating snowfall at least once. Precipitation should be normal to above average, with a healthy mountain snowpack. I expect at least one regional arctic outbreak in the Dec-Feb period. I've heard this winter might be a la kneenia. Cooler and wetter than average. Coolest later on. Divulge your analogs (ALL OF THEM) or you will be shot. 0 through 2017 for me. November/December and a cold January/February. 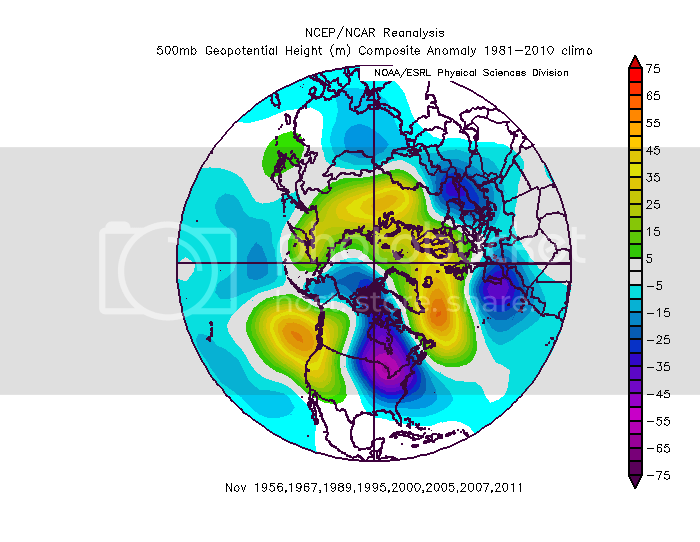 I'm skeptical of the December aggregate, but the state of the subtropical Pacific on that image is highly suggestive of a PV breakdown that month, probably sometime around the holidays verbatim. We'll see. If I could manually tweak these, I'd put more SE Ridge in there and shift everything west a bit in December and February. Right now I would almost bet my bottom dollar December will see a cold and snow event of some kind. Every way I look at it December delivers some winter, but is probably not the big month of the winter. More details later. Last winter featured relatively cool and wet conditions in the PacificNW but very little cold air reached California due to regular episodes of atmospheric rivers. I could live with a repeat. No doubt! The Jan 25 through Feb 5 period is historically the timeframe we can get our greatest events. I'm pretty close to firmly predicting at least one top tier blast this winter. For SEA that would mean highs below 25 and lows below 15. The table is being set absolutely perfectly for this. I want to see a couple more weeks before I go all in. I've been waiting for the right year to call for a granddaddy winter. This just might be it. Five more wins for the Dodgers and you can book a 15 degree high this winter at PDX. So even if you firmly predict this... won't it still come down to fine details? I am also feeling a cold and snowy winter. I just don't understand making declarative statements and these finite forecasts like once you say it then it becomes law. Standard La Nina ingredients, I expect last winter might be a carbon copy for this year. Last winter was one of the most pathetic ever recorded around these parts. Even for a Niña it was terrible. We should do better this winter, just by statistical odds. Last December was pretty good around here. I wouldn't mind a repeat. Good to be here to contribute from Monmouth, OR in the central Willamette Valley. Last winter we had 5 snowfalls here in the lowlands around Salem. 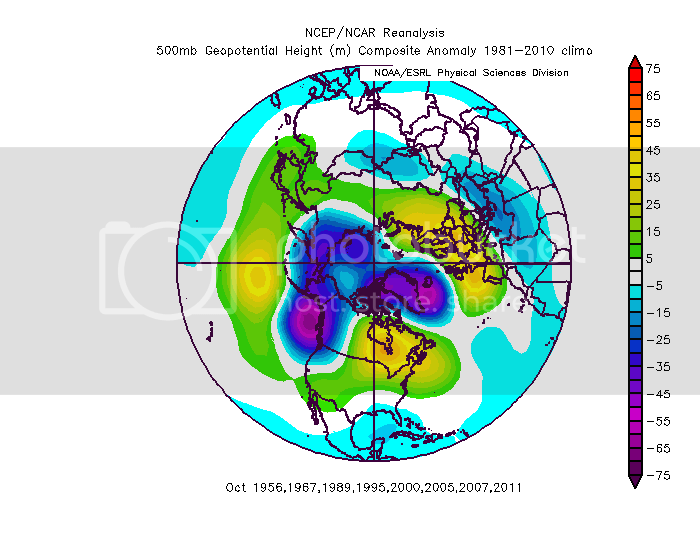 That had never happened since I moved here in 1989 so it seemed to be a standard weak niña where we get much better chances for lowland snowfall and prolonged Arctic/PV events. I’m hoping for another repeat of last winter at my house. Massive low stalls just off the N California coast that puts all of Oregon and Washington in an enormous deformation zone with huge bands "stacking" together? Temps in the teens? Sign me up! Welcome. Yeah, I think you guys were/are due for some decent winters, after all that warmth in 2014/15 and 2015/16. Had to live through this forum to get my winter fix, haha. And lol, what inspired you to pick that username? I live in the north eastern part of the state. Not far north east but far enough to get most of the goodies all winter. It’s awesome. There’s nothing in this world, during winter, that beats the peaceful tranquility that follows a massive snowfall. Bright blue skies, zero wind, zero sound. Just the sun beating down on the fresh snow. With temps well well below freezing. The air is fresh enough to cleanse your soul. After Tiger's embarrassment those years ago it seemed a no-brainer. according to wxsouth Robert the last few Ensos events have been anything but standard. It would be funnier if you lived in the woods near Tigard. Or if it was 2008. I'm liking this a lot. Bring on the blizzard! I'm betting you get colder than -4 this winter. This one is screaming big blast. Apparently they decided Whatcom County is part of Canada. I'm pretty sure CA will get an AR this winter. Hard to say if it will get to So Cal or not, but it easily could. Oh yes...1889-90 was orgasmic. In some ways better than 1949-50. I'd love to experience 1898-99. What a winter that was! Amazing across the entire country. That winter holds the record for most consecutive days with 10+ inches of snow on the ground for Seattle. Two great rounds of winter for this area. Hell yeah. It was also the snowiest winter ever recorded in DC, until it was bested by 2009/10. It wasn't just North America, either. It was the entire NH. A true throwback to the heart of the LIA..monsterous block spanning from Alaska/NPAC all the way to Greenland and the Arctic. I'd argue that the blocking in 1898-99 was easily on par with the great blocking events in the 1600-1800 period, which were likely the strongest to ever occur in the Holocene (last ~ 11,500yrs). It was almost enough to force glacial inception, but thankfully the Sun woke up just in time. Some literature argues that just one more volcanic eruption, or another few decades of Maunder Minimum solar conditions, might have been enough to terminate the Holocene, as sea ice and glaciers were already spreading into areas that hadn't seen ice in over 10,000yrs. Based on the ice core data, the end of the last interglacial (Eemian) also took place during a deep solar minimum, and based on sediment cores was likely brought on by a prolific -NAO type circulatory response (more anomalous than the LIA), which initiated glaciation in NE Canada around 117ybp, and in NW Canada by 115ybp. That's not surprising to hear given how low some of the Feb. 1899 readings got. Like the -2 in Tallahassee or the 6 in Gainesville, FL, or the fact that Galveston advected down to 7.5F at 11:30 AM on a cloudy day, with a strong NW wind. That's still their all-time record low and there wasn't even radiational cooling involved. There may have only been a couple airmasses that cold during the 17th and 18th centuries. Who knows. Holy crap, that's amazing. Would require an 850mb temperature somewhere close to -28C, based on an elementary lapse rate extrapolation for diurnal maximum at that latitude. That seems nearly impossible, but it almost has to be true unless there was a shallow layer of very cold air at the lower levels. Not many stations were recording in Western WA in the winter 1898-99, but Sedro Woolley (just south of Bellingham) paints an interesting picture. They actually had 3 major cold waves that winter with a total of 20 max temps of freezing or lower with a decent amount of snow. Normally a winter like that here would mean a torch in the East. Just goes to show what is possible and in fact probably common during colder climate regimes. You wonder how much longer it's going to be before the atmosphere re-configures into a similar pattern. You still think it's in a 50s-ish pre-winter pattern right now? Yeah. 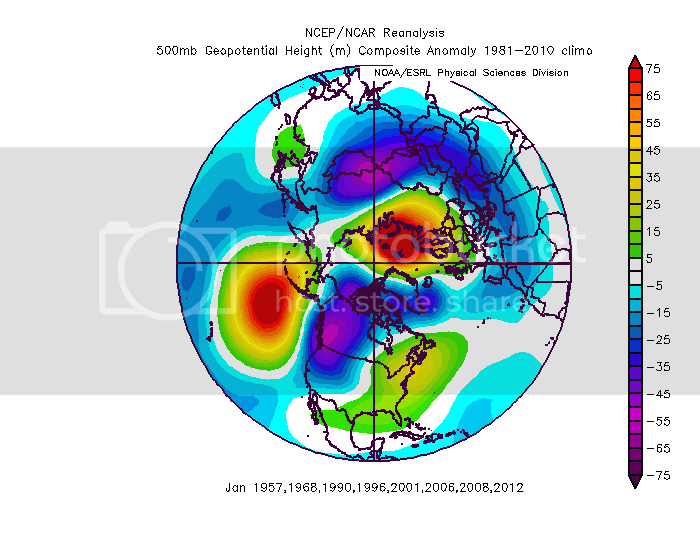 The anomaly center placement and intensity we saw with the two big troughs in the past month was certainly 1950ish. There were some similar in the 1980s to mid 90s also. That would be my guess. Its fairly normal down there for the surface cold to outrun the upper level cold. Still pretty amazing though. Seems like a lot of snow cover over the path of the airmass would have been necessary too. How far can surface cold "outrun" upper level support in the middle of the day, over an Island in the Gulf of Mexico? I'd think the atmosphere would be pretty well mixed, especially over the warm Gulf waters, no? I can't speak for Galveston, but I know that surface cold often does outrun the upper levels with Arctic outbreaks across the Plains down into TX. A big part of the reason we often see Arctic fronts arrive here several hours before they were forecasted. I'm guessing the topography of the plains has something to do with it. Actually I was pleasantly surprised by the rain totals in NorCal/ North Bay late last week. Basically put out the fires; thanks Mother Nature. AR are so fickle but once in place can bring bountiful moisture. Interesting stuff, thanks. I'm not familiar with mesoscale dynamics over the Plains. I'd just naturally expect a very well mixed lower boundary layer when frigid Arctic air runs into the Gulf Coast States. Doesn't mean I'm correct in that kind of thinking, though.